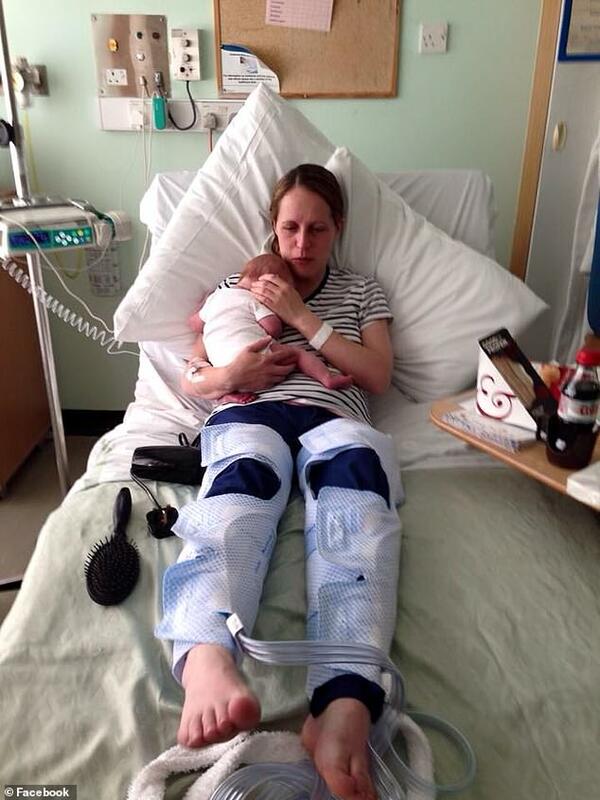 A mother-of-two suffered a stroke because she pushed too hard during childbirth, she has revealed. 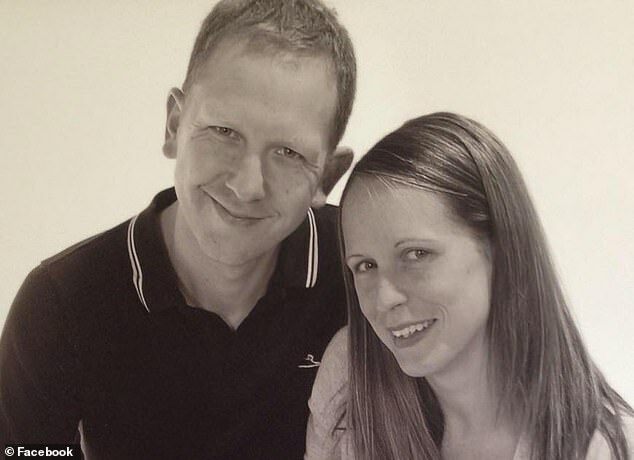 But just weeks after giving birth, she collapsed at home and was whisked away to hospital by her husband Martin. Doctors revealed she had endured a stroke – caused by tearing an artery in her neck during childbirth. Mrs Pulford, now 39, first noticed something was wrong two weeks after giving birth to Aoife, who is now four. She felt a sharp pain in her head, which she assumed was what it felt like to be shot, after lifting Aoife from her crib. And when she went to put her baby daughter back to bed, her left leg went numb. Mrs Pulford assumed she had sat funny. 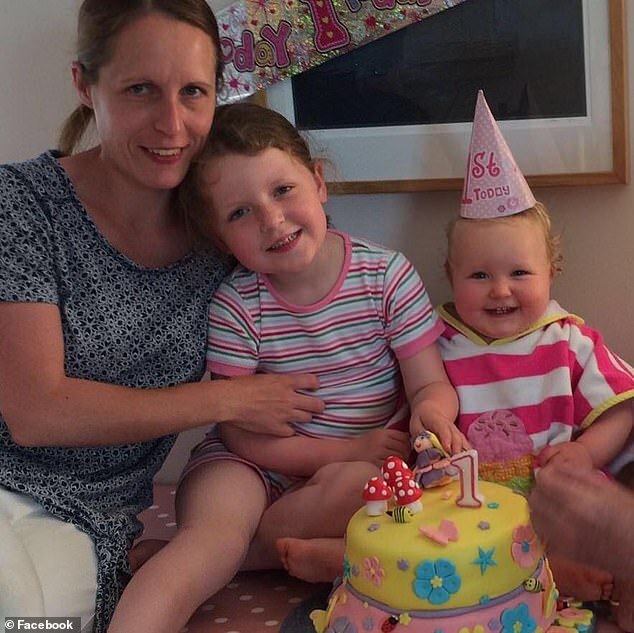 Mrs Pulford then collapsed the next day while giving breakfast at 7am to her other daughter Niamh, now eight. Niamh was asked to go and wake-up Mr Pulford, who then took her to hospital to get her symptoms checked out. Doctors did not think she had suffered a stroke because she was young and was not overweight, a smoker or heavy drinker – all major risk factors. Mrs Pulford was only diagnosed with a stroke four days after first visiting hospital, the Liverpool Echo reports. It was caused by a right carotid artery dissection (CAD), which occurs when blood leaks into a tear in the wall of the blood vessel. As the blood pools, it causes the layers of the artery wall to separate. This prevents oxygen reaching the brain and is a major cause of stroke. Cedars-Sinai Medical Center, a hospital in Los Angeles, says giving birth is one of many vigorous activities that can lead to a CAD. In an interview with the Liverpool Echo, Mrs Pulford said: ‘I had no pre-disposing factors, nothing that could pre-empt it. Just real bad luck. Mrs Pulford, given drugs to prevent another stroke, spent 18 days in hospital before she was eventually allowed home. Her stay in the care of medics including a nine-day spell at a stroke rehabilitation unit at Clatterbridge Hospital in the Wirral. She said: ‘My parents took care of the baby and brought her in to see me every day, whilst my husband took care of our eldest. ‘But whilst I held Aoife and tried to have the “right” feelings, my heart was broken as this wasn’t how it was meant to be. 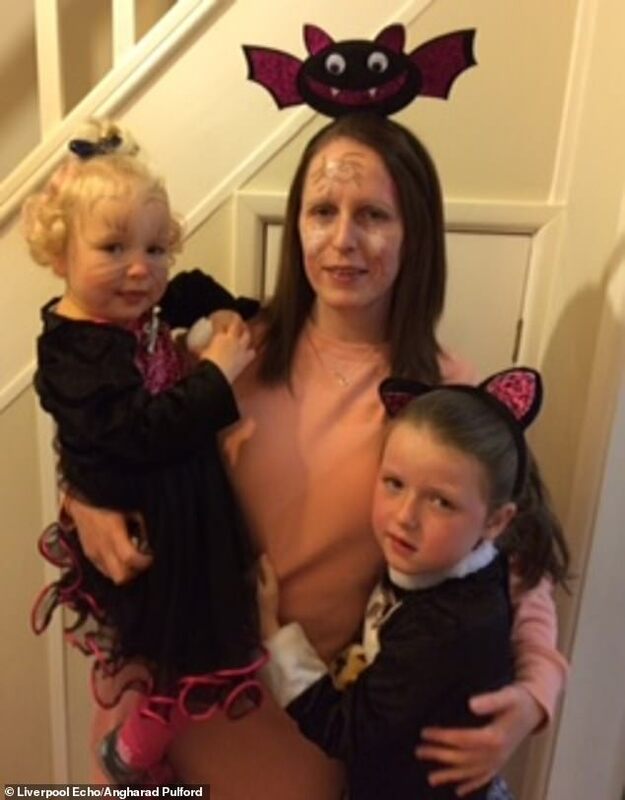 She added: ‘For some time, I was still wheelchair dependent for longer trips and would have to hold Aoife as whoever I was with couldn’t push me and push a pram.